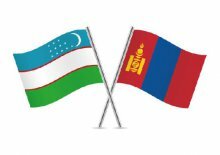 Uzbekistan – Mongolia political consultations will take place on April 10 at the Ministry of Foreign Affairs of the Republic of Uzbekistan. It will be attended by the delegation of Mongolia led by Deputy Minister of Foreign Affairs Batmunkh Battsetseg. According to Uzbekistan MFA, the Mongolian delegation will also hold talks at the ministries of Investments and Foreign Trade, Agriculture, the Committee on Interethnic Relations and Friendly Ties with Foreign Countries under the Cabinet of Ministers, the State Committee for Tourism Development, the Chamber of Commerce and Industry.